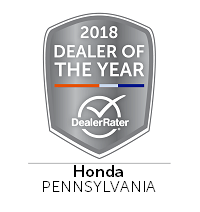 Bianchi Honda has been awarded a 2018 DealerRater Dealer of the Year Award, which recognizes auto dealerships across the U.S. and Canada who deliver outstanding customer service, based on consumer reviews written on DealerRater.com. The DealerRater Dealer of the Year Awards are based on reviews by new- and used-car shoppers and those who took their vehicles into dealerships for service. Reviewers evaluated Bianchi Honda on its customer service, quality of work, friendliness, pricing and overall experience. Bianchi Honda has demonstrated consistently high PowerScore ratings for customer satisfaction, placing it in the top of its class. The PowerScore is determined using a Bayesian algorithm that factors the dealership’s average DealerRater consumer rating and the total number of reviews written about the dealership during the 2017 calendar year. 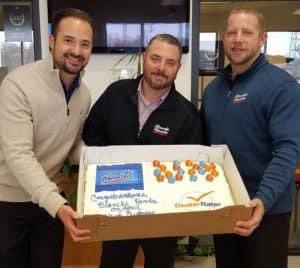 “Today’s car shoppers pay attention to reviews and a dealership’s online reputation, which makes the significance of the DealerRater Dealer of the Year Awards crucial to dealers looking to thrive in today’s business environment,” added Oldershaw. Always friendly and great service, especially Ted Rau. We’ll be sure to pass the message along! Always a pleasant experience when coming to your dealership. Ted is an off the wall kind of guy which makes my day!!! I absolutely love my 2018 CRV. It is very stylish and has a great interior look. My 2015 was very much loved, but I could not resist the 18′. Thanks again for your great customer service.